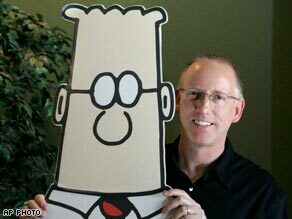 Dilbert creator Scott Adams always has thought-provoking queries on his blog. Today’s is, “What’s the coolest thing that you own?” For me, it might be…iTunes. I just think it is cool. Works great. Seamless. You download it, it goes into the program, and syncs to the iPod. Never fails. Of course, I learned my lesson to wait on the updates. Still on iTunes 8 with no plans to upgrade.